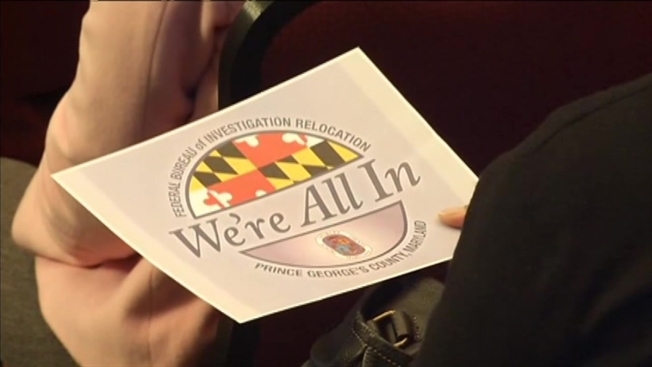 Maryland officials are gathering to push for relocating a new FBI headquarters near the Greenbelt Metro station. Top federal, state and local officials are scheduled Monday to promote Prince George's County as the new location during an event at the University of Maryland, College Park. Gov. Martin O'Malley and Rep. Steny Hoyer are scheduled to attend. Sens. Barbara Mikulski and Ben Cardin also are scheduled to participate. Rushern Baker, the county executive, is scheduled to attend as well. Officials say the new FBI headquarters is estimated to be a $2 billion economic development project and home to 11,000 jobs. The FBI has been considering moving its location from the aging downtown building for a couple of years now. Maryland's proposed site, close to I-495/95, has 80 acres of space and is 0.1 mile from the Greenbelt station. But they'll have some competition -- Virginia officials want the site to move to Springfield.